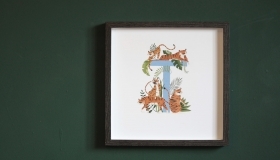 JungleType is Irish artist who hand-paints names and letters. They sell custom originals, prints and cards. 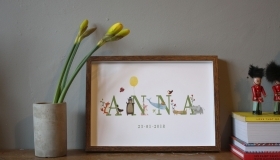 The illustrated names are hand drawn and hand painted, making it completely unique to you. 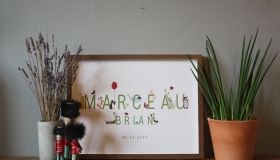 Personal details can be incorporated to make it even more special. 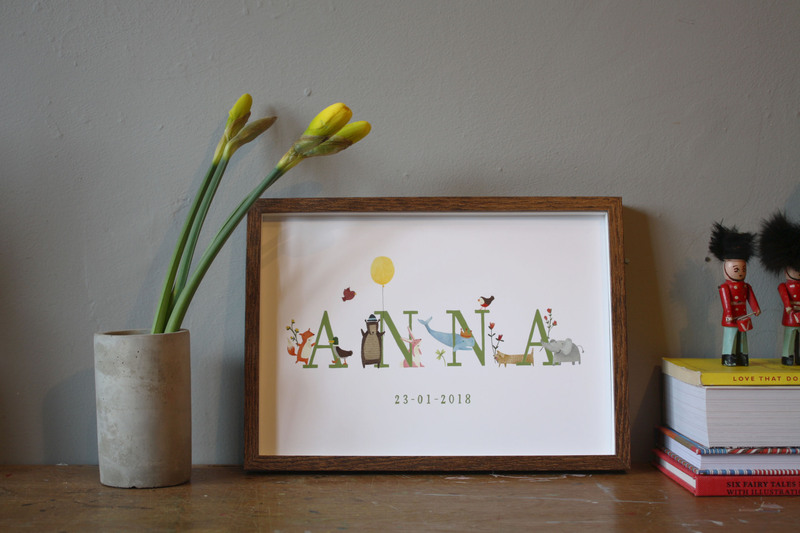 They’re an ideal gift for a newborn baby to hang in their nursery or a young child’s bedroom, which they will have forever. 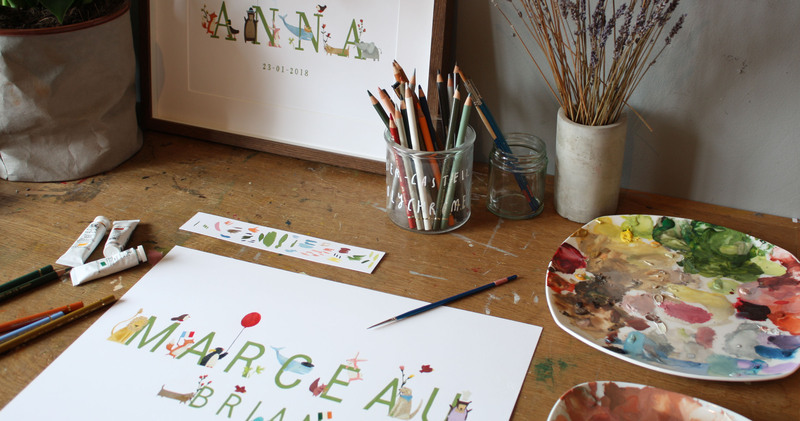 Each piece is designed with careful composition, colours and character in mind using gouache or watercolor paints. 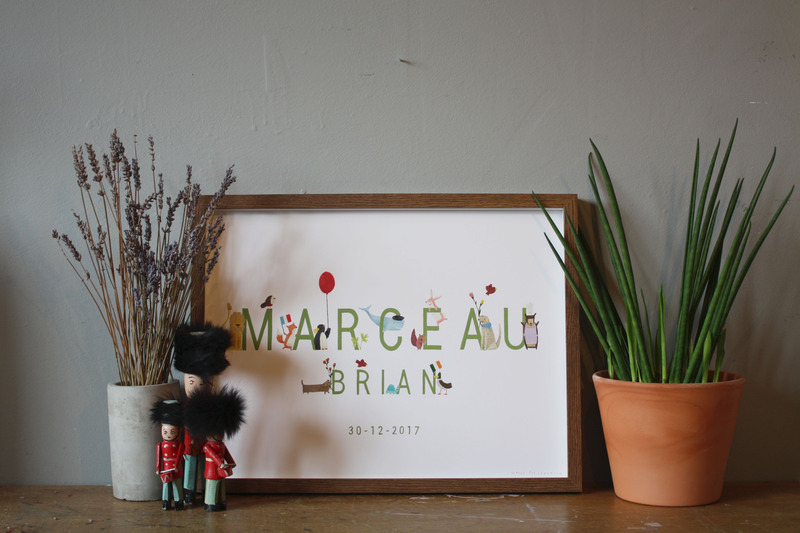 Prints of letters are also available, each decorated with an animal beginning with that letter. 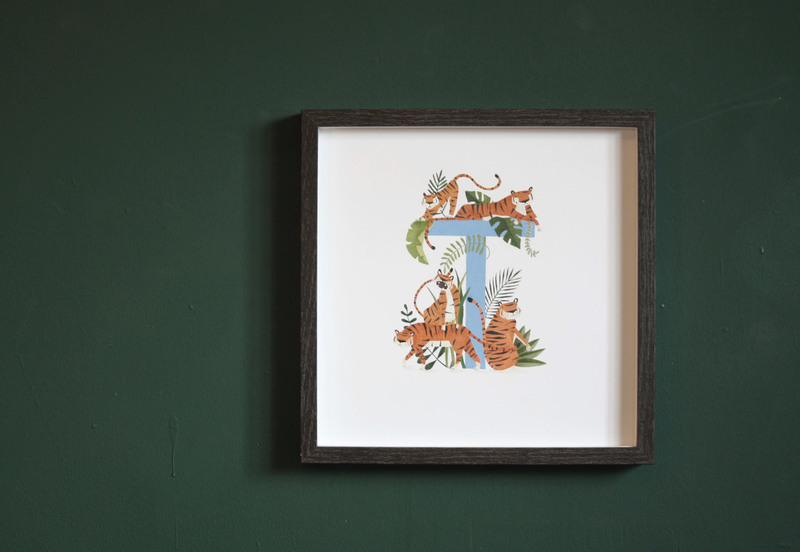 JungleType will also have other Christmas cards and prints available.